Aerial Panoramic Photo of Children's Pool, Casa Cove and La Jolla Coastline. The underwater reef is exposed by extreme low tide. Aerial Panorama Photo. Point La Jolla Aerial Photo. Aerial Panoramic Photo of Point La Jolla and La Jolla Cove, Boomer Beach, Scripps Park. Panoramic aerial photograph of La Jolla Cove and Scripps Park. Aerial Panorama Picture. Aerial Panoramic Photo of Children's Pool, Casa Cove and La Jolla Coastline. The underwater reef is exposed by extreme low tide Stock Photography of Aerial Panorama. Aerial View of Namena Marine Reserve and Coral Reefs, Namena Island, Fiji Photograph of Aerial Panorama. Point La Jolla Aerial Photo. Aerial Panoramic Photo of Point La Jolla and La Jolla Cove, Boomer Beach, Scripps Park. Panoramic aerial photograph of La Jolla Cove and Scripps Parks (center), with La Jolla�s Mount Soledad rising above, La Jolla Shores and La Jolla Caves to the left and the La Jolla Coast with Children�s Pool (Casa Cove) to the right. This extremely high resolution panorama will print 30? high by 80? long with no interpolation Aerial Panorama Photos. Aerial Panorama Photo of Swamis and Encinitas Coastline. Swamis reef visible at extreme low tide. Aerial Panorama Image. Aerial Panoramic Photo of Children's Pool, Casa Cove and La Jolla Coastline. The underwater reef is exposed by extreme low tide Professional stock photos of Aerial Panorama. Olowalu Reef and West Maui Mountains aerial panorama. Olowalu Coral Reef, also known as Turtle Reef, lies just offshore of the small town of Olowalu in West Maui, Hawaii Pictures of Aerial Panorama. 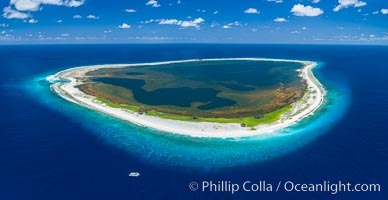 Aerial panorama of Clipperton Island, showing the entire atoll. Clipperton Island, a minor territory of France also known as Ile de la Passion, is a small (2.3 sq mi) but spectacular coral atoll in the eastern Pacific. By permit HC / 1485 / CAB (France) Aerial Panorama Photo. Aerial Panoramic Photo of Children's Pool, Casa Cove and La Jolla Coastline Aerial Panorama Picture. Aerial Panoramic Photo of Children's Pool, Casa Cove and La Jolla Coastline. The underwater reef is exposed by extreme low tide. Stock Photography of Aerial Panorama. 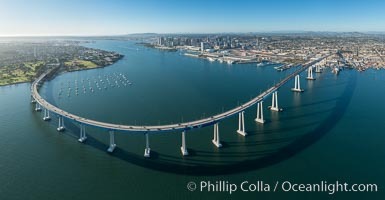 Panoramic Aerial Photo of San Diego Coronado Bay Bridge Photograph of Aerial Panorama. Aerial View of Namena Marine Reserve and Coral Reefs, Namena Island, Fiji Aerial Panorama Photos. Bass Lake, Aerial Panoramic Photo Aerial Panorama Image. Seaside Reef at Low Tide, Cardiff By the Sea, Aerial Photo, panorama Professional stock photos of Aerial Panorama. Aerial Panoramic Photo of Children's Pool, Casa Cove and La Jolla Coastline Pictures of Aerial Panorama. Point La Jolla Aerial Photo. Aerial Panoramic Photo of Point La Jolla and La Jolla Cove, Boomer Beach, Scripps Park. Panoramic aerial photograph of La Jolla Cove and Scripps Parks (center), with La Jolla�s Mount Soledad rising above, La Jolla Shores and La Jolla Caves to the left and the La Jolla Coast with Children�s Pool (Casa Cove) to the right. This extremely high resolution panorama will print 30? high by 80? long with no interpolation Aerial Panorama Photo. Encinitas Coastline aerial photo, sea cliffs, sunset, panorama Aerial Panorama Picture. La Jolla Caves and Coastline, Goldfish Point, Aerial Panoramic Photo Stock Photography of Aerial Panorama. La Jolla Caves and Coastline, Goldfish Point, Aerial Panoramic Photo Photograph of Aerial Panorama. Mount Soledad Cross aerial photograph, sunrise. The Mount Soledad Cross, a landmark in La Jolla, California. The Mount Soledad Cross is a 29-foot-tall cross erected in 1954. Aerial Panorama Photos. Point La Jolla Aerial Photo. Aerial Panoramic Photo of Point La Jolla and La Jolla Cove, Boomer Beach, Scripps Park. Panoramic aerial photograph of La Jolla Cove and Scripps Park. Professional stock photos of Aerial Panorama. Aerial Panorama Photo of Swamis and Encinitas Coastline. Swamis reef visible at extreme low tide. Pictures of Aerial Panorama. Aerial Panoramic Photo of Children's Pool, Casa Cove and La Jolla Coastline. The underwater reef is exposed by extreme low tide Aerial Panorama Photo. Point La Jolla Aerial Photo. Aerial Panoramic Photo of Point La Jolla and La Jolla Cove, Boomer Beach, Scripps Park. Panoramic aerial photograph of La Jolla Cove and Scripps Park. Stock Photography of Aerial Panorama. La Quinta and Coachella Valley, aerial view, panorama Photograph of Aerial Panorama. La Quinta and Coachella Valley, aerial view, panorama Aerial Panorama Photos. La Quinta and Coachella Valley, aerial view, panorama Aerial Panorama Image.